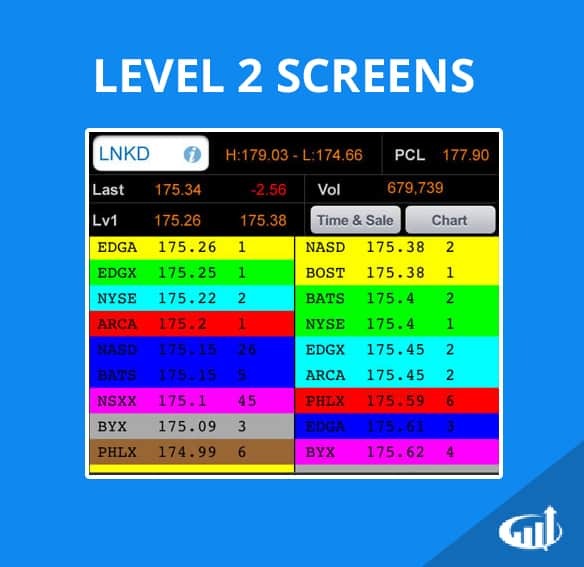 Level 2 screens provide a deeper insight into the market by showing real-time buy & sell orders. What is a Level 2 Screen? Level 2 is the quotation system that provides real-time access to the Nasdaq order book, which contains the quotes from all the market makers, and ECNs beyond the inside bid and ask. Whereas Level 1 quotes only display the best bid and best ask price and size, Level 2 provides additional information in the form of depth, the subsequent price quotes and participants beyond the inside. Some platforms call the level 2 a ‘market depth’ window.